If you are in my area you know that fall is usually filled with crisp air, colorful leaves and hoodies galore! Feeling a little sentimental for this weather, I made this card although it is October and yesterday in the North East it was 80 degrees outside ( What the What! ). 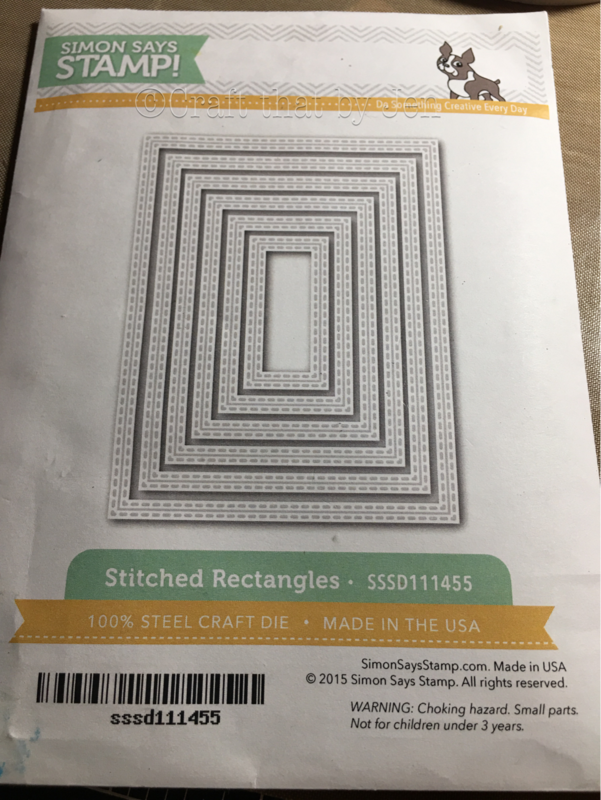 I decided to write up a tutorial because I simply love shaker cards and I found them the hardest for me to make when I first started paper crafting. 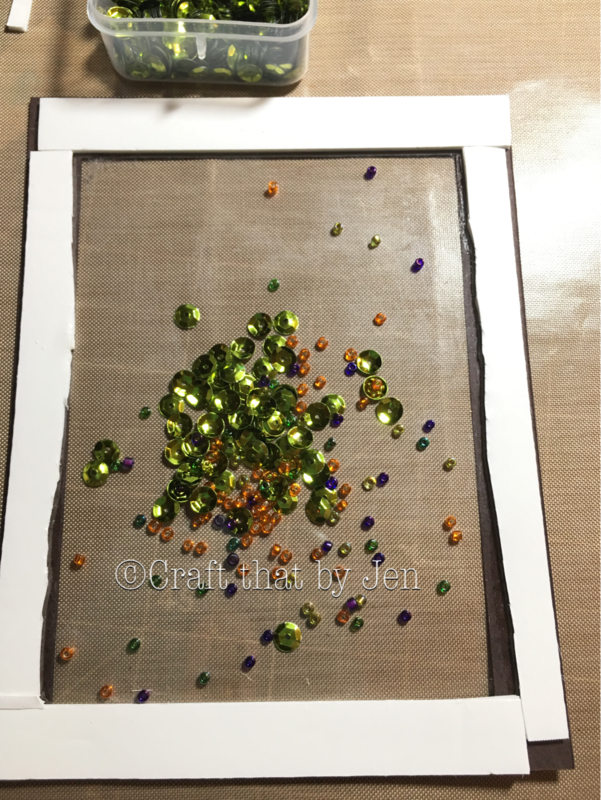 My hopes are that my tutorial will spark your creativity and get those creative juices flowing. 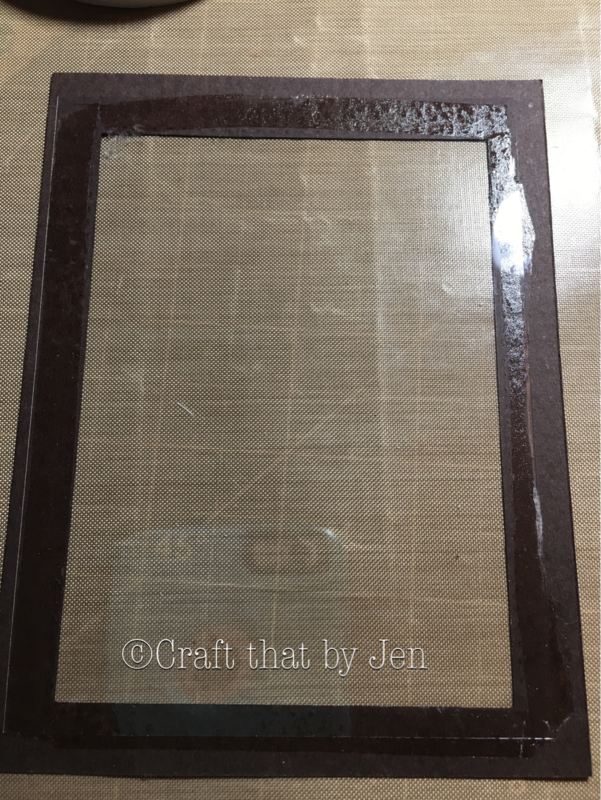 Should you choose to make an exact replica of my card please credit my blog for the idea. 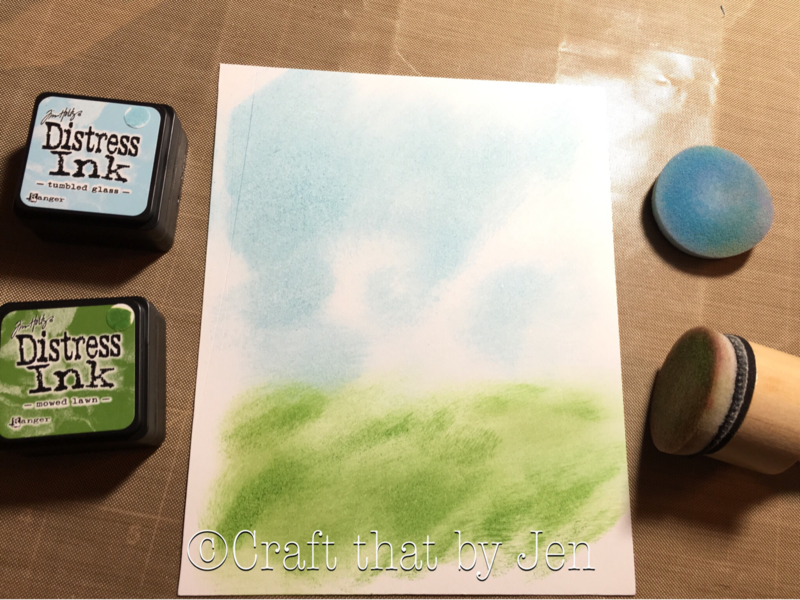 Using a ink blending tool apply the blue distress ink to 2/3 of the cardstock in circular motion and the green distress ink in swiping motion to the rest of the white area. 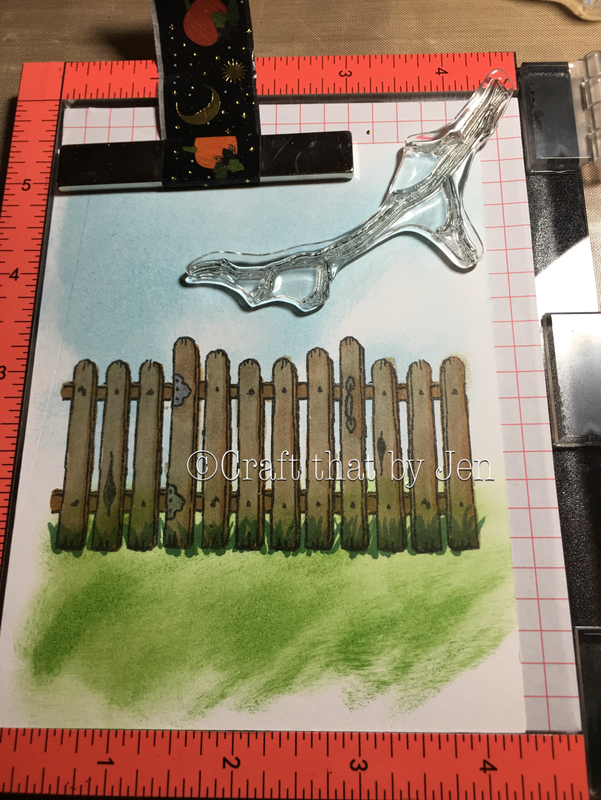 Using my fence stamp from the Whimsy Stamps Attempted Murder set and positioned it half way. 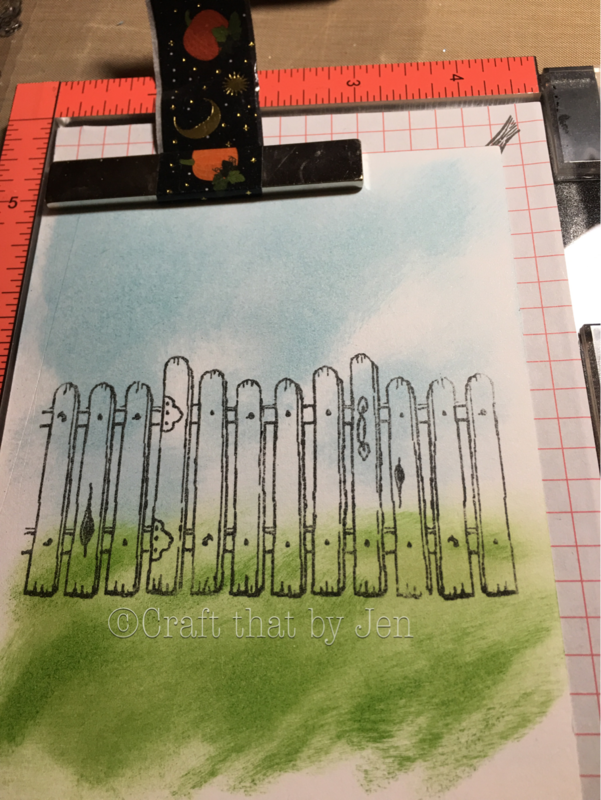 Using Hero Arts intense black ink I stamped on the fence. 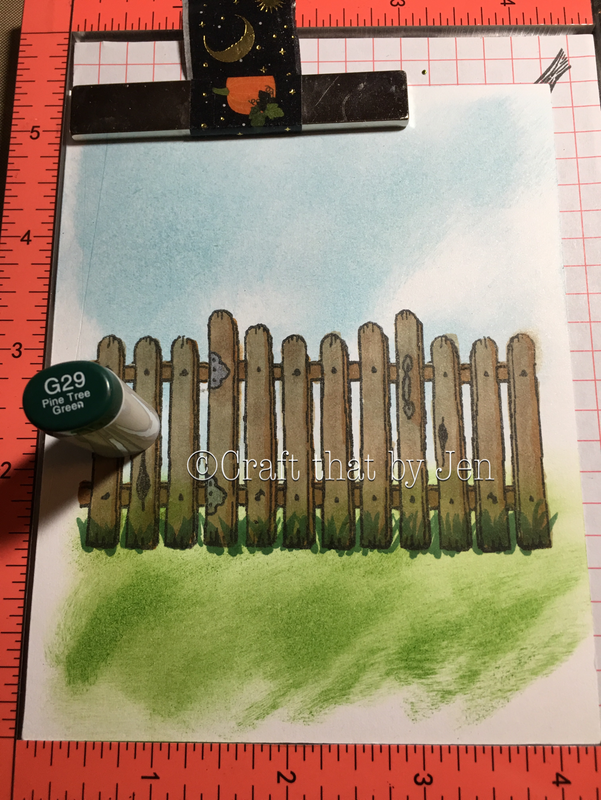 Next using the colors of your choice, color in the fence. 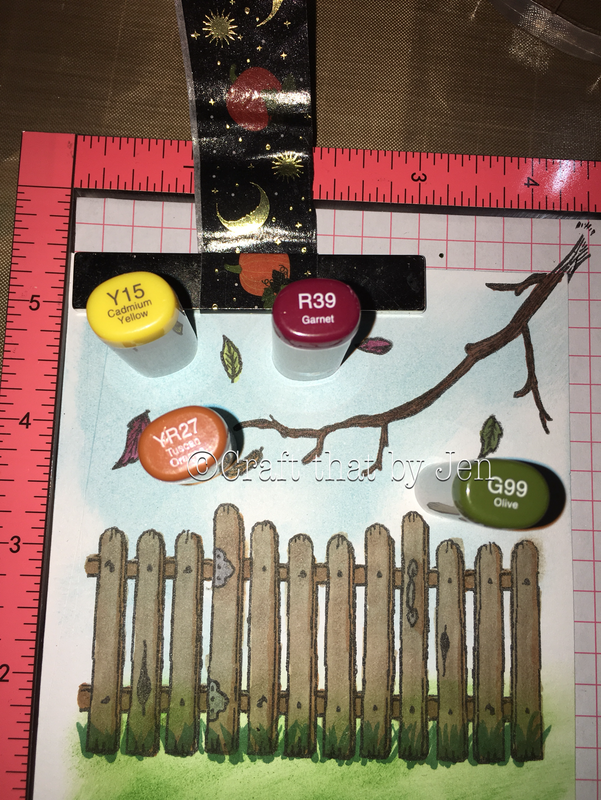 This colors I used will be included in the pictures below. First I used Copic E44 for the base color. To Shadow I used Copic E37. 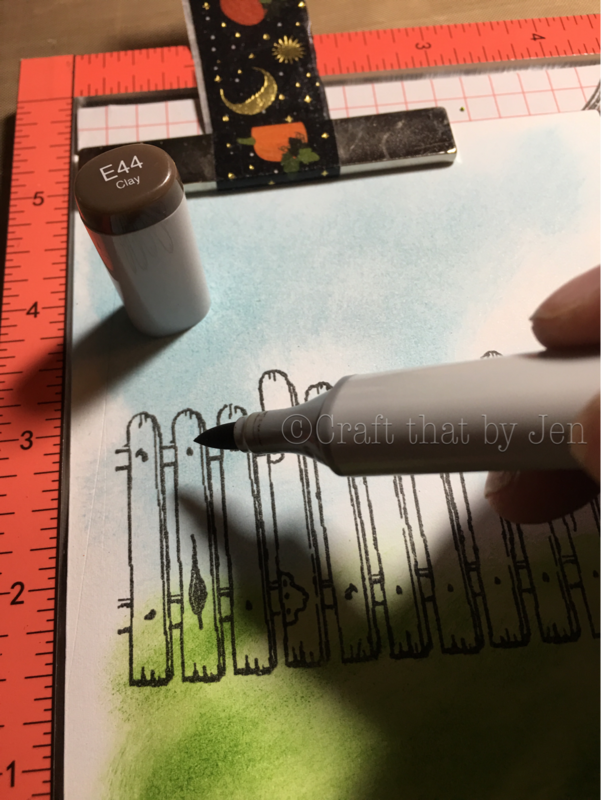 I decided the shadow would be on the right and on the boards that go horizontal in the fence. 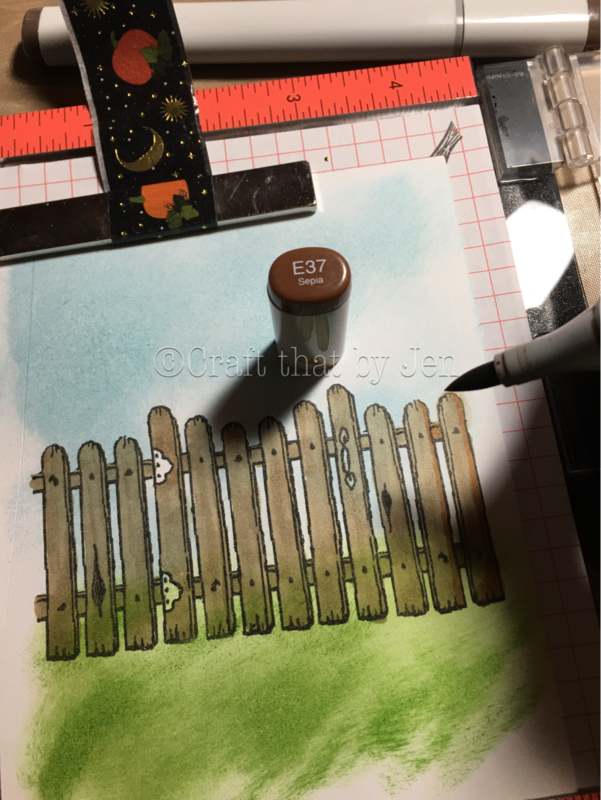 Once I colored the shadow I applied second layer of E44 to blend and darken the fence. Next I used N5 for the gate handle and the hinges. 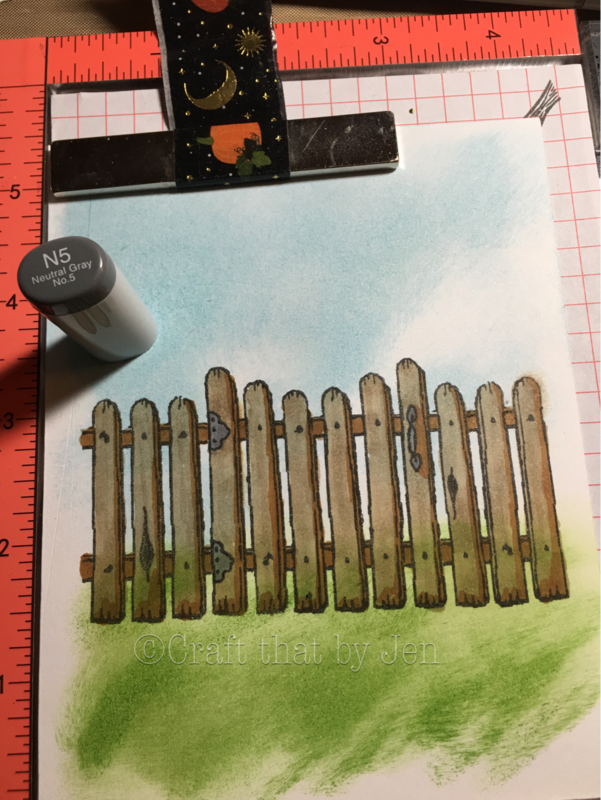 Next using Copic G29 I used a swiping motion to add grass to the bottom of the fence. 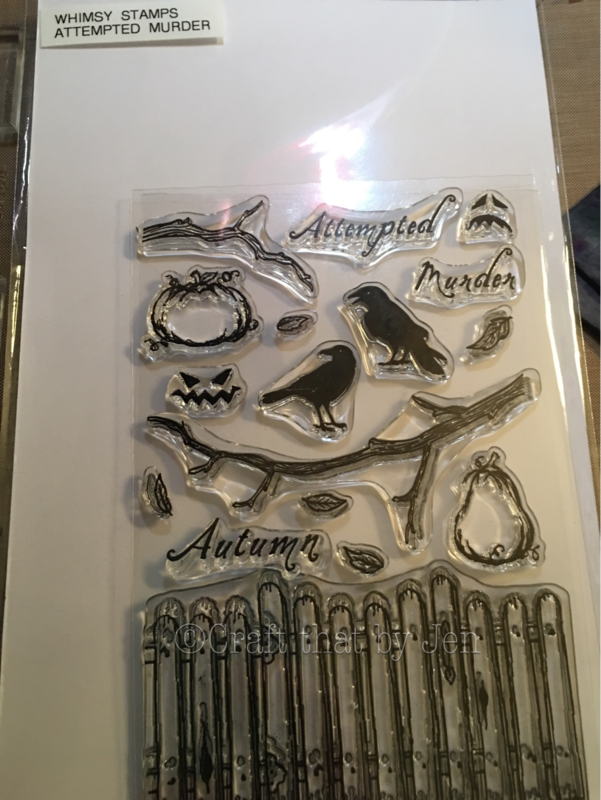 Next using the same black ink, stamp the branch and leaves from the Attempted Murder set by Whimsy Stamps🍁 🍂 🍃. 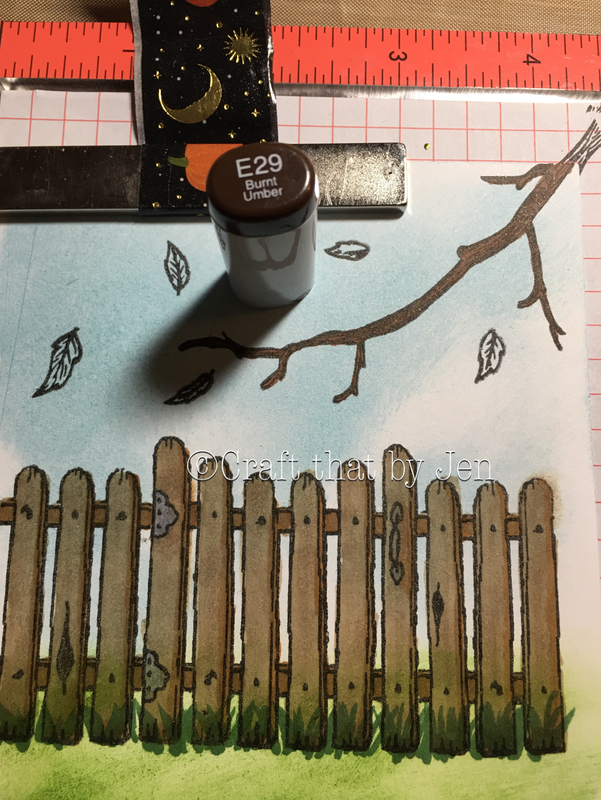 Using Copic E29 I colored in the tree branch. I used Y15, R39, G99 and YR27 to color in the leaves. 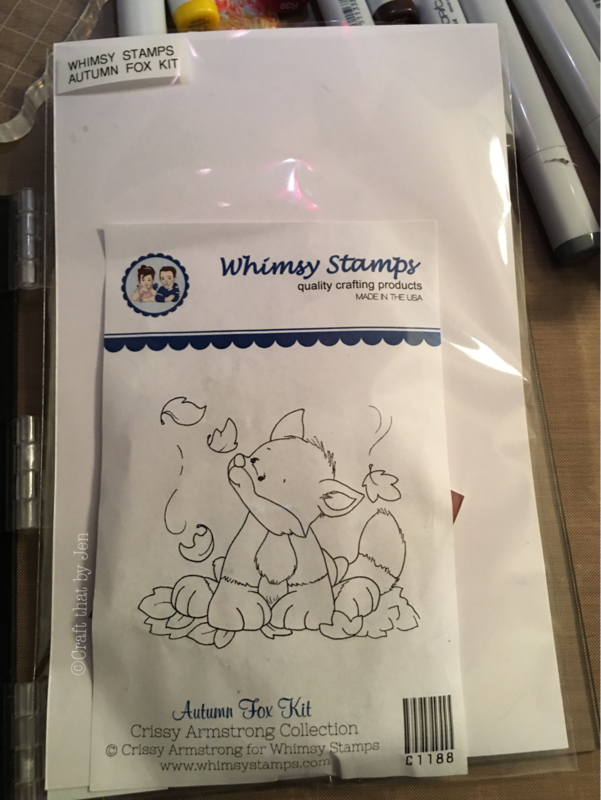 Using the Autumn Fox Kit 🦊 by Whimsy Stamps I stamped the image on a separate piece of white paper and colored it in. The fox is colored with Copic E97, E99, and YR27. The Leaves are colored with Copic R29, Y15 and YG13. 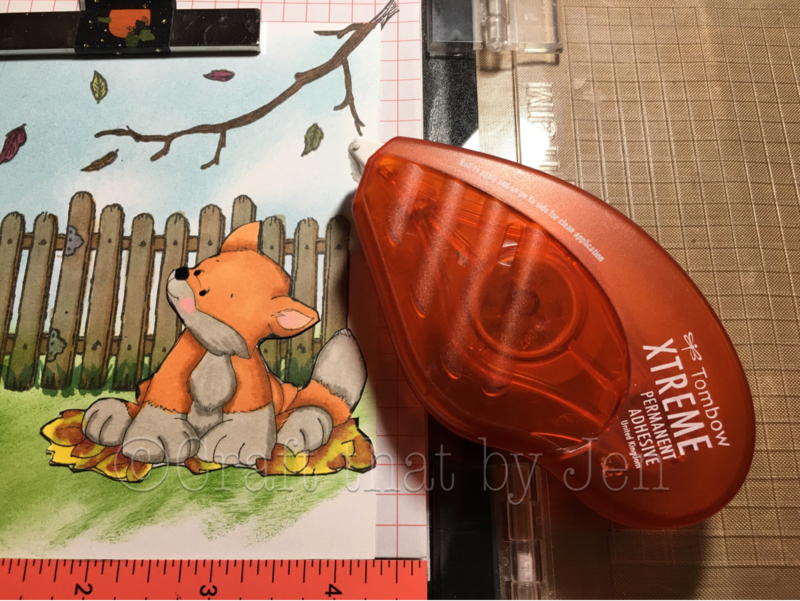 After coloring the fox and Leaves I decided where I wanted it to be and used Tombow X-treme Adhesive to adhere it to the background. 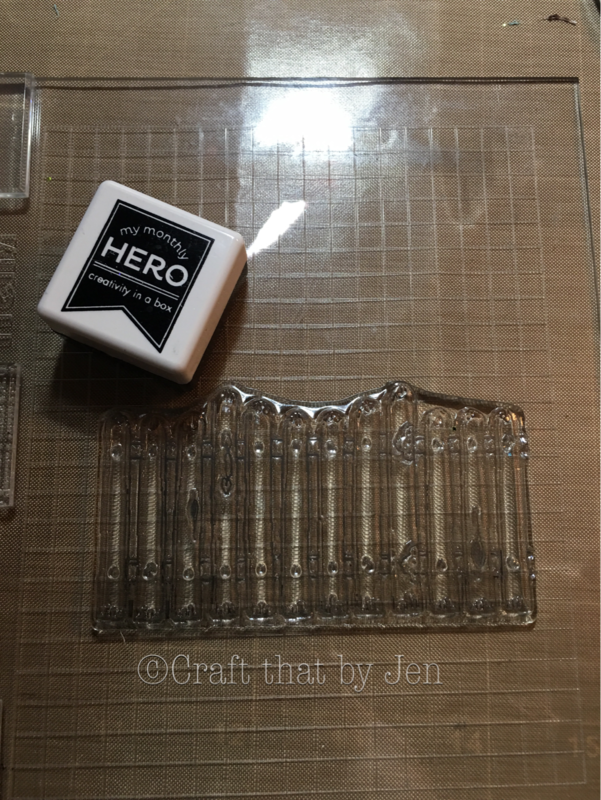 The next step is to apply an acetate window to the back of your die-cut cardstock and apply 3m double sided foam tape to the sides. 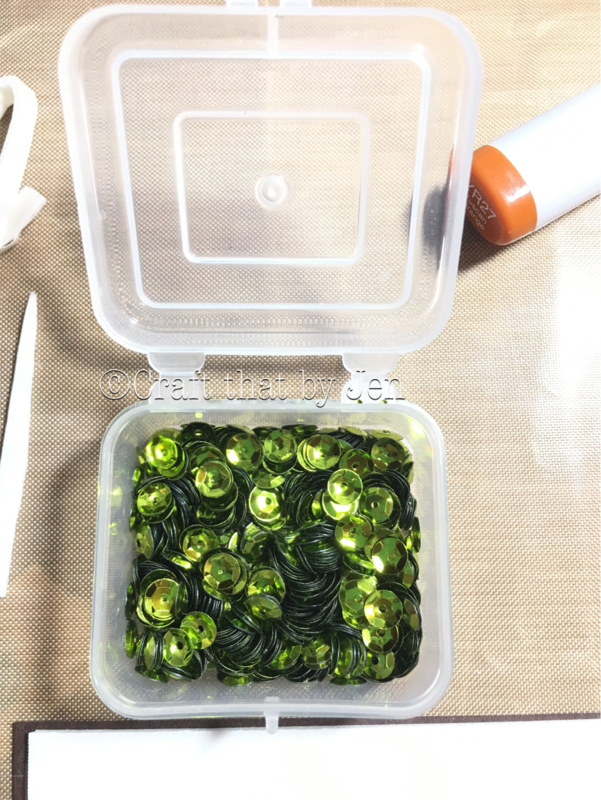 Note: it is important to make sure there is a complete seal arount the perimeter of the diecut window to ensure your shaker beads and sequins do not fall out. 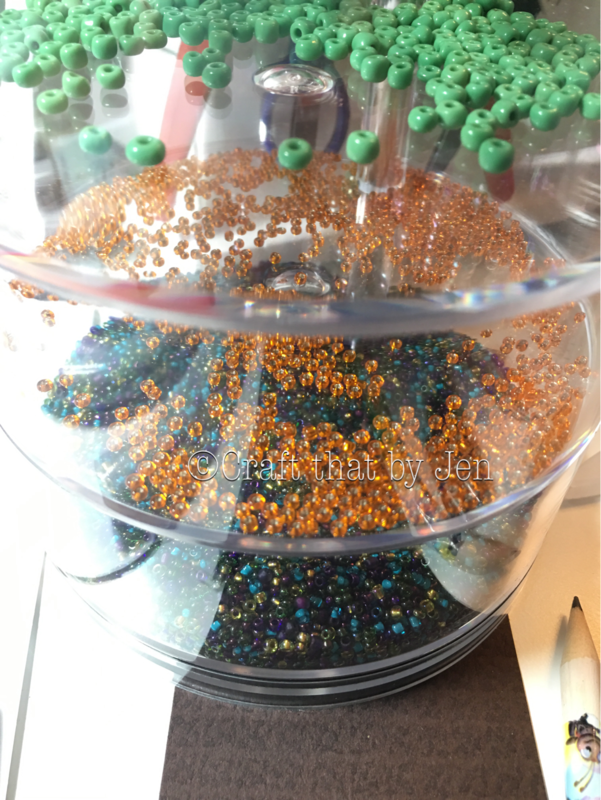 For the shaker seeds and sequins I used Darice green sequins and some bead seeds from Acmoore in mixed color and orange. 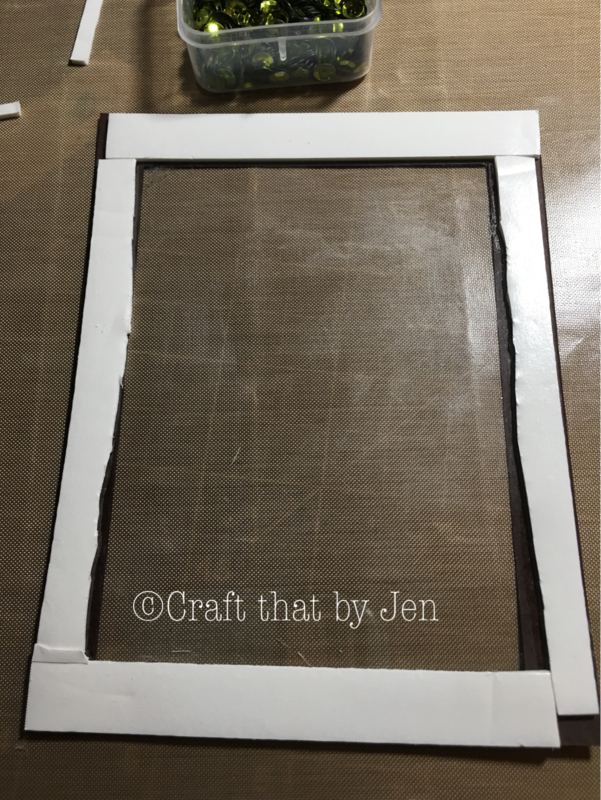 Carefully place them inside the window and pull off the backside of the doublesided tape. 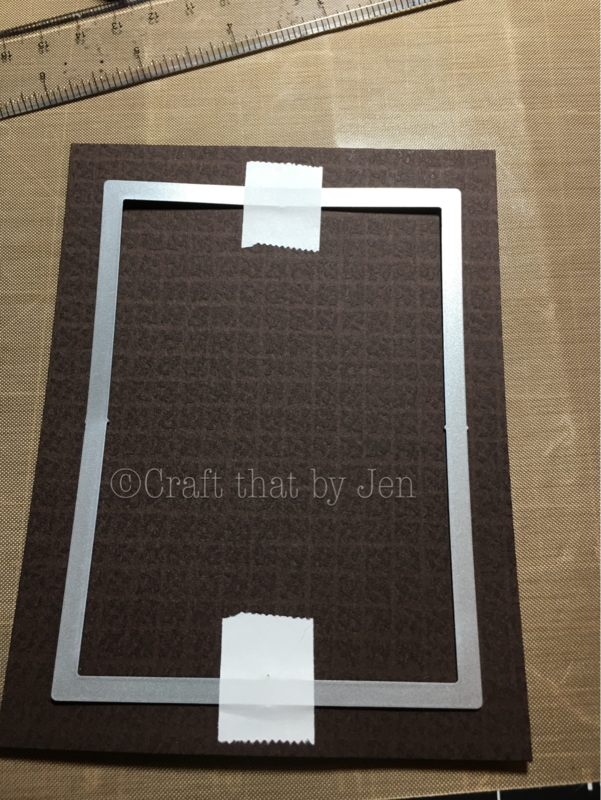 Carefully lay your background piece on the double sided foam tape. 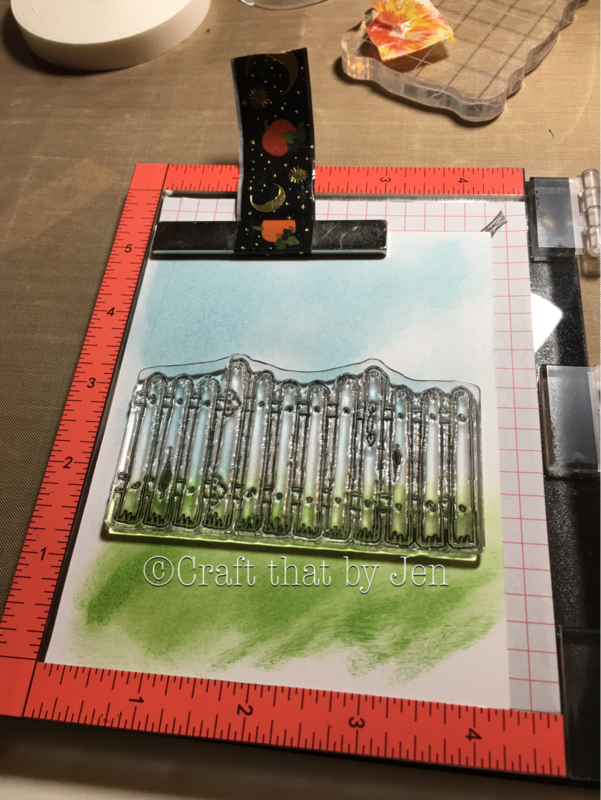 Once the shaker is put together I used a sentiment from the Neat and Tangled Simon Says Stamp Stamptember release. 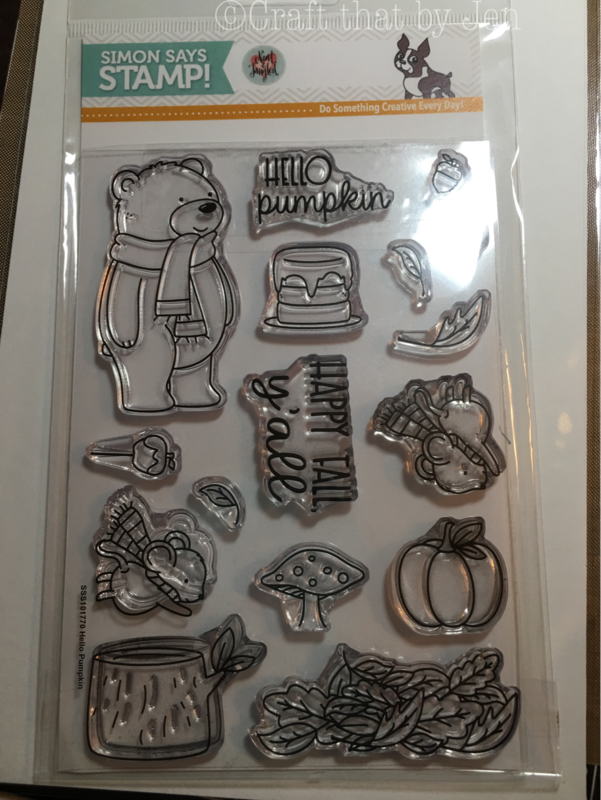 I used versamark ink and Gold embossing powder to apply the Happy Fall sentiment. Note: I did not want the Yall part to be on the card so while inking the stamp I covered the yall with a piece of paper and it worked like a charm. I hope you have enjoyed this written tutorial. If you have any questions please feel free to contact me via email or through my contact page. Thank you so much for taking the time to read my blog.You are truly appreciated.